A group of Indian journalists was scheduled to visit China today; the trip has been cancelled due to heightened tensions in the area near Tibet and the tri-junction. 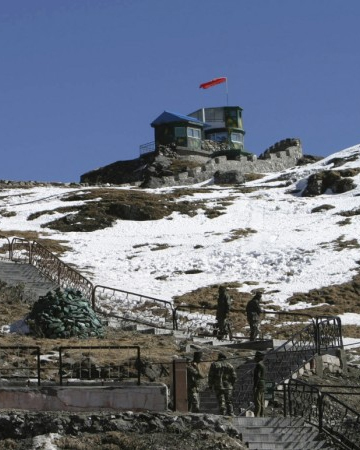 China’s military presence and road construction on the Doklam Plateau has prompted the deployment of Indian troops on the Bhutanese side of the border. The plateau is situated on a disputed border between China and Bhutan. Although Doklam is not Indian territory, New Delhi has justified intervention for its own security interests. 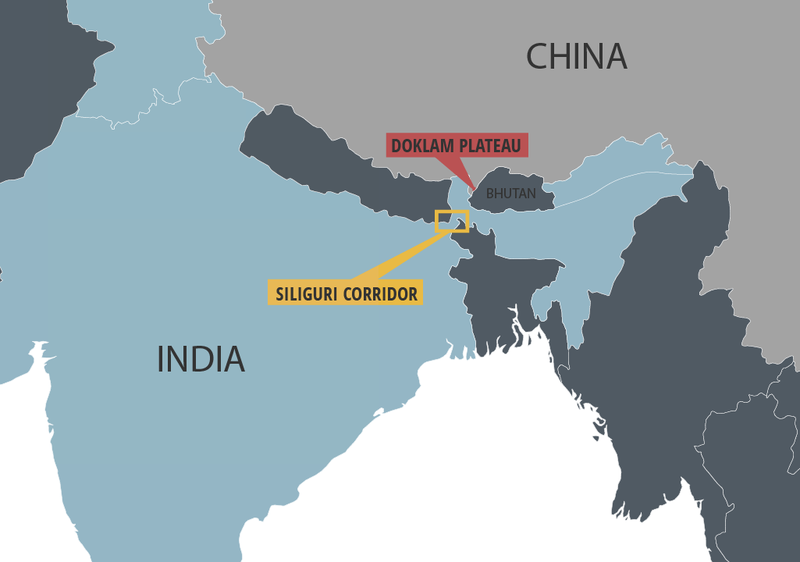 The plateau is near the strategic Siliguri Corridor, which connects the subcontinent with the more vulnerable northeast. On Wednesday, Beijing announced that it had reached a “basic consensus” with Bhutan “that Doklam belongs to China.” If this consensus results in a stronger Chinese military presence in the area, India is likely to react in kind; indeed, it has already increased and upgraded its positions within adjoining Indian territory. Disputes are not uncommon along the Sino-India border. Ultimately, these small skirmishes risk souring a crucial regional relationship—one that will naturally suffer from increased competitiveness as the two Asian giants vie for power and influence. The G20 summit in Hamburg will wrap up today. World leaders will use the opportunity to pressure US President Donald Trump on matters like free trade and climate change. 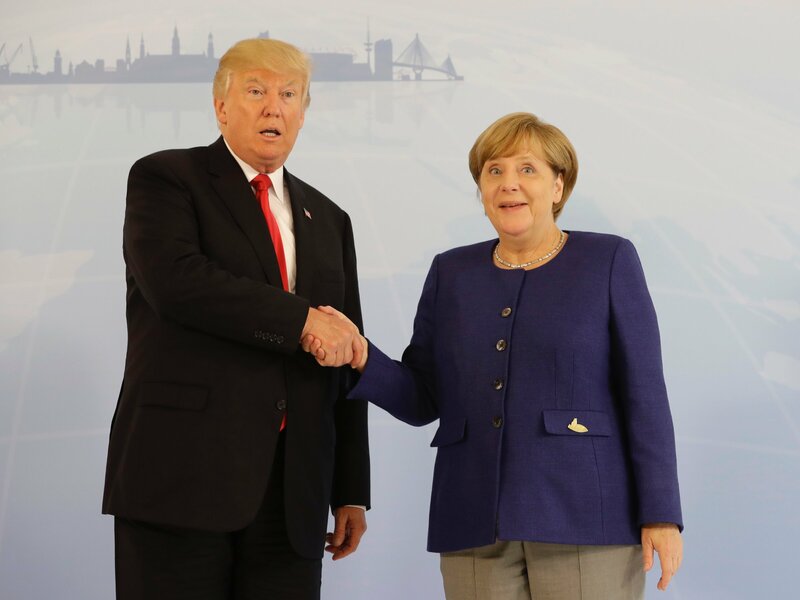 Leading the charge on climate change is Angela Merkel, who will work to further isolate Trump in the hopes that the president will make some concessions on the issue. While the president will not re-enter the US into the Paris climate deal, he may be willing to invest more in the US’ renewable energy industry. Most of this pressure comes in the form of diminishing US influence on topics that extend beyond climate change, such as security and trade—both areas in which Beijing’s influence is growing. An increase in bilateral discussions between Germany and China, on a variety of issues, is a prime example of this. A weakening of Washington’s global leadership could come at an enormous cost to the Trump administration; it may find itself in an unfavourable position for negotiations on matters it deems important, such as trade and counterterrorism. Papua New Guinea’s national elections close today. The ruling People’s National Congress (PNC), represented by Prime Minister Peter O’Neill, hopes to maintain its parliamentary plurality. Given that that PNG does no opinion polling, no party entered the election with a perceived advantage. It’s also unlikely that any party will win an electoral majority, which has never happened in the 40 years since independence from Australia. This opens the door for potentially lengthy and messy coalition talks. Since voting started on June 24, reports have emerged of opposition voters being omitted from voter rolls. 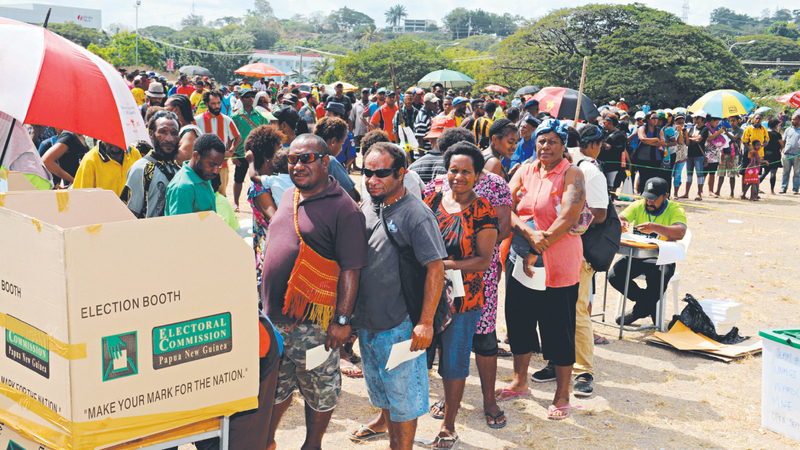 Similarly, logistical difficulties have plagued the election, with ballot boxes arriving late to a number of Papua New Guinea’s 20 provincial districts, some of which are located in mountainous, isolated regions. Members of the National Alliance have blamed Australia, which played a prominent role in the maintenance of electoral rolls and the distribution of ballot boxes, in trying to sway the election in favour of the current government. Election results are expected at the end of July. Tensions will be high in the restive Indian state of Jammu and Kashmir as locals mark the first anniversary of the death of Burhan Wani, a prominent anti-Indian militant leader. Wani was shot dead by Indian security services last July, sparking months of protests and more than 100 deaths. India shut down internet services late on Thursday, citing growing militant chatter on social media, which has been used to stir unrest in the past. Security services will be on high alert amid calls for state-wide rallies. Expect stone-throwing crowds to clash with security forces resulting in injury, property damage and the risk of small-scale loss of life. Supporters of Russian opposition leader Alexei Navalny plan a series of campaign events for the outspoken Putin critic, including handing out five million copies of a pre-election newspaper. Navalny was released from prison on Friday after serving a 25-day stint for violating restrictions on organising public meetings. Navalny is technically barred from running in next March’s presidential election after being found guilty of embezzlement. Results from Mongolia’s runoff election are expected.